Speed. Power. Beauty. Deep red paint. Futuristic styling. As the media explores the 43rd Tokyo Motor Show this week, they won’t see any of those things. 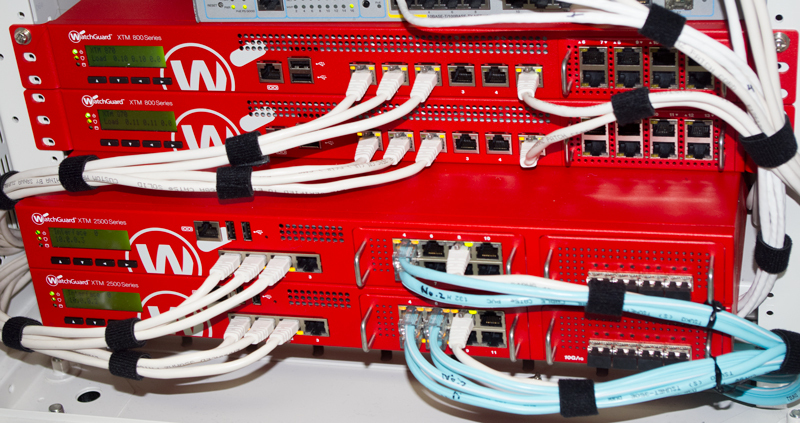 The WatchGuard XTM 2520 and XTM 870 boxes will be in the server cabinet doing what they do best: protecting the data of thousands of people. WatchGuard is the official Unified Threat Management provider for one of the world’s largest auto shows. Held every other year, this marks the fourth consecutive show that WatchGuard’s UTM solutions have been a part of. With more than 840,000 people projected to attend and more than 15,000 members of the global media corps alone, the bandwidth and content transmitted is mind blowing. This chart shows the spikes in download traffic throughout a typical day at the show. The XTM 2520 is one of our most powerful appliances. It’s capable of handling 35GB/second of throughput and more than 2.5 million simultaneous connections. And just to be sure we were able to help the media covering this event file reports, share pictures and tell stories — we put two of them in. What’s a little bit more horsepower? WatchGuard XTM appliances feature twin turbos, integrated performance boosters and the latest in lightweight interior wiring designed to offer amazing performance. The team on the ground at the show is using WatchGuard Dimension, the latest version of our integrated security platform. Showing real-time bandwidth usage, live threat maps and system performance in an easy-to-use management console, WatchGuard Dimension has been a great help at the show to give visibility into where resources need to be focused and what the greatest uses on the network are. One reason we went with the souped-up hardware was because we know that when this many people are on what is essentially a public network, the risk of exposure and threats can quickly multiply. Phishing emails, network attacks and even dead drops of USB drives can very quickly expose every user on the network. By bundling the highest-performing hardware in the industry with a dashboard that makes the network easier to manage, we’re giving the visiting journalists a ride of a lifetime. If you’re interested in how WatchGuard can fine-tune your network performance, you can learn more about WatchGuard Dimension now or sign up for a test drive.